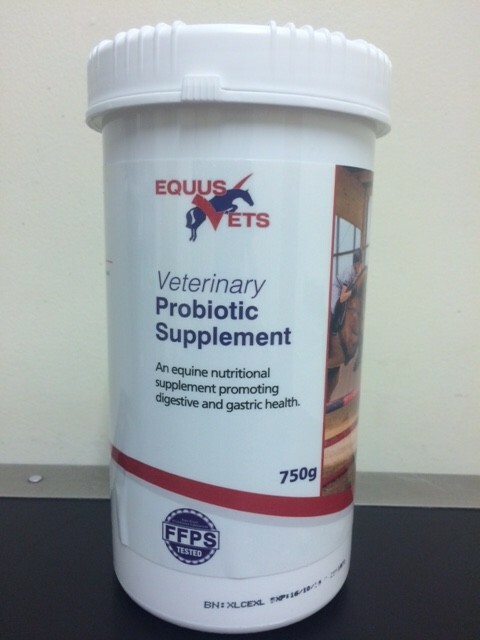 Equus Vets Probiotic Supplement is a complementary feed stuff for horses and ponies. This product contains supplementary vitamins and other nutrients to support digestion and gastric health. Use during and after antibiotic treatment, during digestive disorders and incidence of diarrhoea, following deworming or times of stress. For horse and ponies feed 10g daily. In times of stress feed 20g daily. Equus Vets Probiotic Supplement is competition legal.